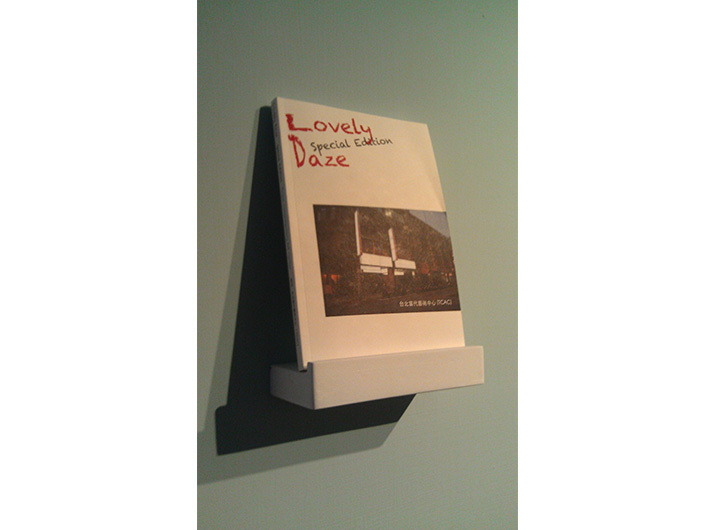 Work Description: Lovely Daze is a contemporary art journal published twice a year since 2005. For our special editions, we work across disciplines with curators, photojournalists, pastry chefs, and so on to broaden spectrums. 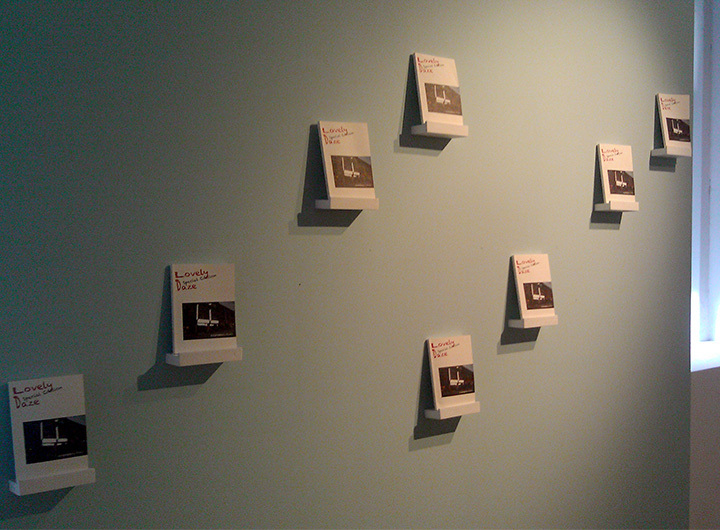 In this Lovely Daze Special Edition: Taipei Contemporary Art Center, we are happy to present views from some of the most dynamic voices of the arts and cultural circle in Taiwan in their own words. For the first time, for all of their voices have been gathered together, and we are able to hear firsthand what they have to say about their experiences of starting an art center together to counteract the problems that the art institutions in Taiwan face today. 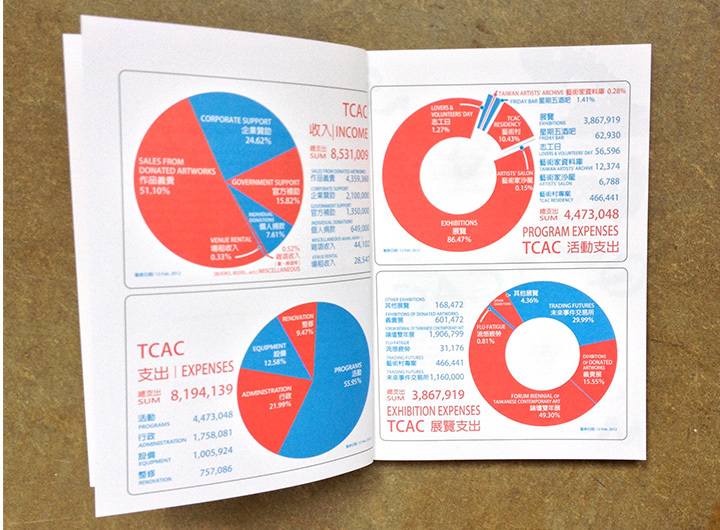 The Taipei Contemporary Art Center (TCAC) evolved out of a project proposal by Austria-based Chinese artist Jun Yang for the Taipei Biennale of 2008. During this time, the Taiwanese art institutions, which had a history of running some of the most forward-thinking centers of art and culture in East Asia in the 90’s, were under the increased directives of official cultural policy makers. One of the biggest challenges was that the changes in political parties started to have direct impact on the art and cultural institutions, including replacement of museum directors and the re-distribution of cultural funds. Other issues such as the government using museums as an outlet for commercial forms of cultural industry and institutional bureaucracy, and hypocrisy took its toll on the artistic environment of Taiwan. As a reaction to this situation, Jun raised an imperative question : whether or not Taipei needs a contemporary art center. In the artist’s own words, “My hope was Taipei Contemporary Art Center (TCAC) should always be something as a counter platform to the official governmental policy, opinion and commercial interest.” To initiate his project, Jun invited over 40 of some of Taiwan’s most active curators, artists, writers, scholars, professors, social and political activists… etc for a conference entitled “A Weekend Gathering”. The discussion revolved around the central question that he had posed adding: “If Taipei was to have an art center, what would its role be?” After these discussions, an association was formed and within two years, a space was allocated (as a two-year loan by a property developer). Taipei Contemporary Art Center opened its doors to the public in February 2010. Two years later, after the many trials and tribulations that this art center has experienced, Meiya Cheng (one of the founders of TCAC) and Pauline J. Yao (independent curator) have curated “Trading Futures”, the final exhibition in TCAC’s current location, and organized on the eve of an unknown future for the Center. They have kindly invited me to participate as an artist, but since the topic of the exhibition– art and economy—has few direct links to my artistic practice, I thought it would be more interesting to make a project on the Center itself. After some discussions, we decided to publish a book by Lovely Daze of interviews from TCAC’s key members on the past couple of years of running an artist’s center. Press Release: The Taipei Contemporary Art Center (TCAC) is pleased to present Trading Futures, an international group exhibition with works by Asian artists Heman Chong, Chou Yu-cheng, Minja Gu, Hu Xiangqian, Kao Jun-honn, Lee Kit, Sun Yuan & Peng Yu, Koki Tanaka, Charwei Tsai, and Xu Tan that investigate and reflect on questions of artmaking, production and value. Co-curated by Meiya Cheng and Pauline J. Yao, Trading Futures takes place on the eve of TCAC’s relocation and marks the conclusion of the artist-and-curator led art center’s two-year pilot phase. Trading Futures is a gathering of conceptual interrogations, gestures and processes that look into the ways in which art and artistic experimentation intersect with hypothetical systems of labor, value, consumption, and desire. Recent global events have put economic phenomena at the forefront of our consciousness, provoking a reexamination of the production-based sphere of art and the art system’s inherent relationships to vectors of exchange and desire. 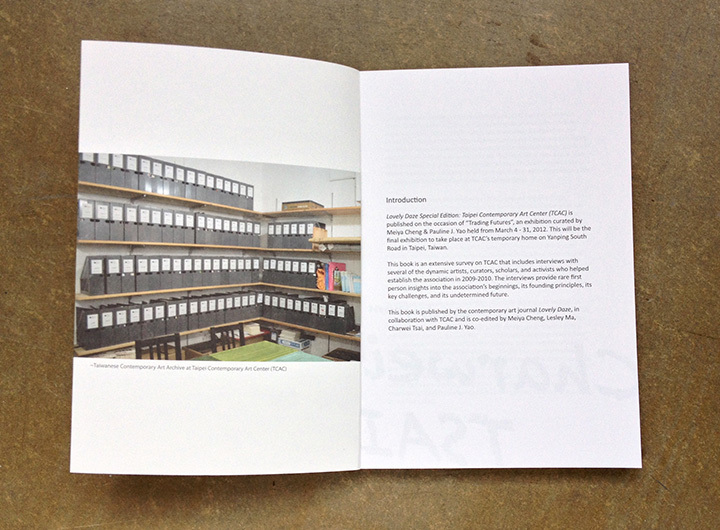 As developments in contemporary art increasingly lean towards a set of social actions, gestures or participatory processes that transform the need for finished products and art objects; collectors and donors are faced with a challenge to embrace the indeterminate on-site practices, open-ended exchanges, and collaborative strategies that comprise today’s artistic field. Nowhere is this more evident than in Asia where the brute forces of capitalism emphasize art’s transactional side and favor the production of outcomes that are often materially spectacular in nature. Inviting ten artists from around Asia to spearhead new projects, Trading Futures takes a different tack, presenting a range of modest responses that speculate on alternate forms of exchange, narratives of labor and disappearance, proposals for the future, and language-based investigations. Willfully adopting multiple roles ranging from storyteller to interviewer, laborer, employer, consumer, and designer, these artists and the exhibition as a whole seeks to enact new ways that value can be created and distributed through experimental means. While the commentaries found within Trading Futures are not intended to address the specific condition of TCAC, they do carry particular implications for the current artistic environment of Taiwan. Recent political actions in Taipei surrounding cultural policy funding have sparked heated debates that are impacting the way culture is being defined, disseminated, and produced; and by association, what role artists are to play in the ongoing process of economic redevelopment reshaping Taiwan’s urban and social fabric. Squarely situated within the economic condition of TCAC itself, Trading Futures does intend to offer commentaries on the myriad struggles facing artists and institutions today as well highlight the ongoing search for new modes of production and reception. 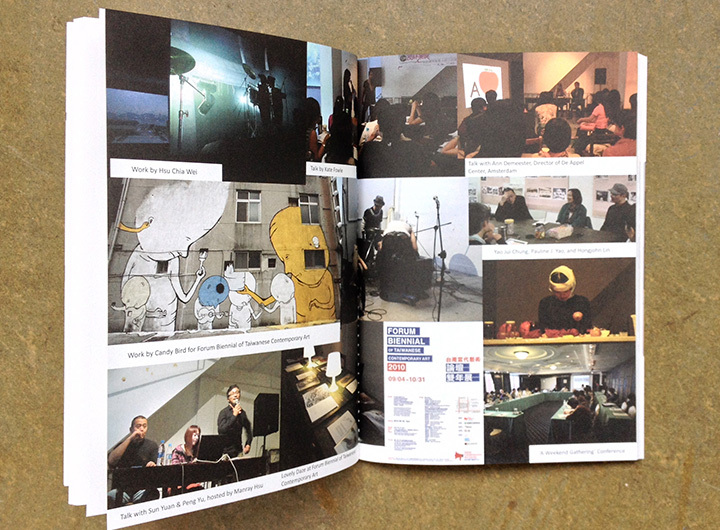 Opened in February 2010, Taipei Contemporary Art Center (TCAC) is an independent initiative founded by a group of artists, curators, scholars and cultural activists. TCAC is a platform for the art community to express itself, to interact among themselves and to exchange with international art worlds through socio-political issues, cultural policies and aesthetic positions. Major activities include the presentation of art works, films, books, music, and performances, as well as lectures, forums, symposiums, publications and exhibitions.